I have to say this I have never read a book by Rachel Ayala that I did not absolutely LOVE. And I have read almost all of them. This book is no exception. Families do not always get along--especially when one of the siblings is a love child! 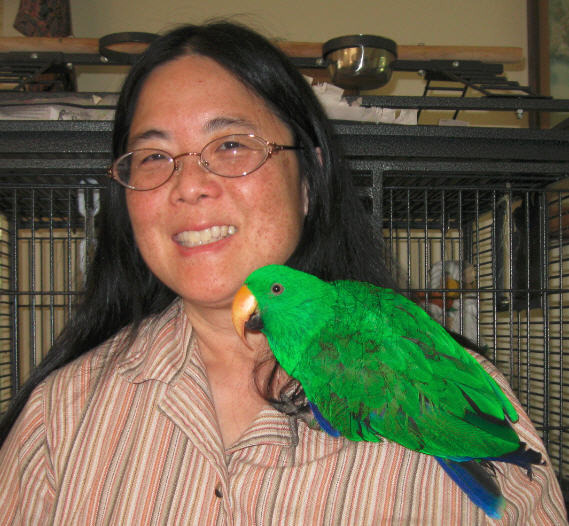 This story delves into the personalities of all the children--actually adult children. I can guarantee you will not like the eldest sister--she is a conniver of the highest order. Nadine Woo is an artist with an artists soul and the black sheep according to her father--who lives with his second wife. His other 2 children are the apple of his eyes--both have great jobs that pay well. Nadine still lives with her Mom in an apartment that her father pays for. Nadine can not understand why her mother has put up with being the "other woman" all these years. Then--that philandering father decides he is going to divorce his second wife and marry someone else. This is extremely worrisome to his daughter and son-and they concoct a plan that includes Nadine--but it backfires beautifully!! There is a lot of silent back stabbing going on--and you are never going to figure it all out until the author reveals it at the end!! 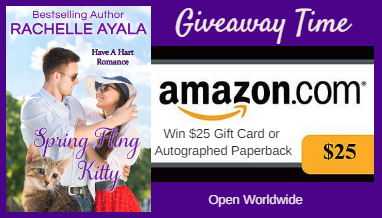 AND I JUST FOUND OUT THAT SPRING FLING KITTY WILL BE ON SALE FOR .99 ON AMAZON STARTING MONDAY 8/8!! Love a book that keeps you hooked until the end!! What a great giveaway! I know I'll love this book - you always have the best reviews!!!! I think a cruise would be the perfect place. Lots of scheming in this one, and it sounds absolutely delightful. This ones sounds interesting. Maybe I will check it out! I could totally use this to get more books! Amazon always has great book selections and prices! Vacation, may be Cape cod. MA. We love the ocean. This book looks really cute! I'm always looking for new novels to read. Love reading and romance novels are my favorite. This sounds like an interesting read and I love Amazon too! 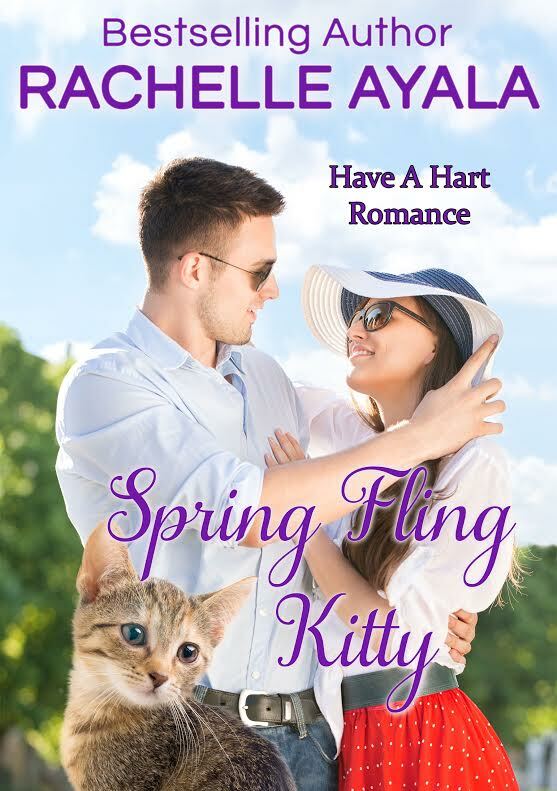 Spring Fling Kitty sounds like a fun and story. I love romance books! Awesome giveaway! Sounds like the kind of family and romantic intrigue that many folks can relate to. The giveaway is definitely a wonderful addition to your review. I would prefer my spring fling to be at Niagara Falls, New York. It is a wonderfully romantic place. The view is gorgeous too. Weirs Beach, NH, because it sounds like an awesome place to visit. Thanks so much, Miki. I'm so glad you enjoy my books. This one was a lot of fun. Thanks!